FACT: An adjustable Rate Mortgage, used inteligently, will always cost less over the life of any other type of loan. Question. So why do all the so called experts advise you to only take a Fixed Rate mortgage? Answer. Because they are at best ill informed, or at worst simply stupid. The bias toward fixed rate mortgages is the result of settling for the simple but expensive rather than taking the time to understand the relatively complex but much cheaper. I’m constantly amazed by the number of home buyers who will give up their weekends for many months searching for the perfect home, yet take just a couple of hours to decide how to pay for it, and end up never knowing what their options were. Choosing the wrong mortgage can and will cost many thousands of dollars. Question. HOW TO DECIDE WHAT’S THE BEST MORTGAGE? 1. YOUR BEST ESTIMATE OF HOW LONG YOU EXPECT TO OWN THE HOUSE. 2. YOUR CURRENT FINANCIAL CIRCUMSTANCES. 3. YOUR ANTICIPATED FUTURE FINANCIAL CIRCUMSTANCES. Long and Short term. YOUR MORTGAGE SHOULD BE UNIQUELY DESIGNED FOR YOU, NOT FOR SOME MYTHICAL AVERAGE PERSON. You should always know what options are available to you and how each one would work out over time. Despite frequent publicity and legal actions the Fraudsters and Scam Artists are still ripping off vulnerable and financially stressed homeowners with promises to fix their problems for a few thousand dollars up front. 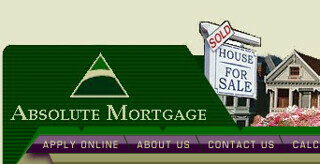 They promise to obtain loan modifications, mortgage relief, and foreclosure rescue. Once the cheque is cashed they are no longer to be found. There are many services available that legally try to help with these kinds of problems; however, they do not require payment up front which is totally illegal. ANYONE ASKING FOR AN UP FRONT PAYMENT IS A CRIMINAL TRYING TO CHEAT YOU. The new FICO® 8 Score is fast becoming the new standard. It has already been adopted by over 3,000 banks and other financial institutions. But is it good news or bad news for you as a consumer? 1. Multiple late payments will now carry a heavier penalty than in the past. These are the 30, 60, 90 day lates that show up under “Derogatory” accounts. 2. The penalties for using too much of any credit are increased. If you have any type of credit with a maximum amount available your score will be lowered if you owe more than 30% of the total maximum allowed. This can be your VISA or Sears card, or a Home Equity Line of Credit. NOTE. This applies even if it is a company credit card in your name. The result of these changes can mean your credit score can be lowered even if you never had a late payment in your life. Too much credit availability is a no-no. This will apply most frequently when applying for a mortgage, when the bank will assume your total debt to be the maximum amount of money you can get at with just your signature. Posted in 1st Time Buyers, Mortgage, Real Estate, Refinance, The R/E Business. Here’s one more example of a Bank pretending to do something positive about loans to defaulting Sub-Prime borrowers, while actually increasing their payments. While 90% of mortgage lenders resist handing out any type of loan modifications, despite being advised and even pressured by the government to do so, Bank of America claims it is now taking the lead. The initial B of A model seeks to conditionally (read: unlikely) cut up to 30% off the principal of 45,000 home mortgages nationally. Note: This is not the same as a reduced payment. This program is very limited in breadth and scope. It applies only to those homeowners with negative amortizing ARM’s. The principal reduction program will not be available to underwater homeowners with fixed rate mortgages or ARMs with amortized payment schedules. B of A claims their goal is to reduce homeowners’ monthly payments to an amount equal to 31% of their household income – the parameter set by the federal government two years ago, in 2008, based on long-standing fundamentals of mortgage lending. In practise this program will apply only a few of the loans B of A inherited when it took over Countyrywide; specifically (negative amortization loans), where the Borrower is at least 60 days late!! A more important problem is that the proposed modifications will usually result in a HIGHER MONTHLY PAYMENT for people already unable to make the current minimal payment.